A Tiger Salamander, a beautiful Barred Owl and an opossum are just some of the animals you will see live at the Nature’s Ninjas exhibit. We will get to interact with some of the animals (I will be fine just watching from afar) and also watch a live show with an expert! Parking: Parking is free at Discovery Park of America. 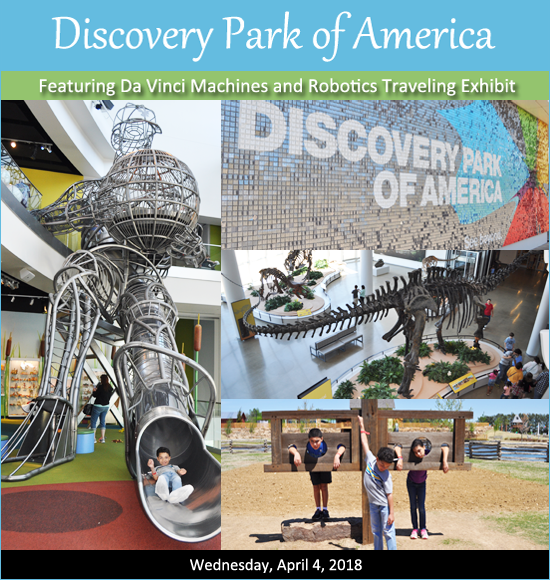 Come and see the 2017 spring traveling exhibition from Italy, Da Vinci Machines and Robotics! Guests will walk through the life and works of Leonardo Da Vinci and interact with the machines he made before the world was ready. Innovation at its beginnings. All ages are encouraged to come and see this spectacular exhibit, and may even be inspired to become a modern-day Da Vinci. Suggested age: DPA has areas for all ages, so bring everyone in the family along. There are plenty of other activities besides the featured exhibit to enjoy, so make plans to attend the field trip. The ‘Da Vinci Machines and Robotics Traveling Exhibit’ may appeal more to third grade through adult. Schedule: Meet at the Discovery Park of America at 9:30 a.m. to check-in with the event leader. We will be given entry promptly at 10 a.m. Admission: Tickets for the park and the “Da Vinci Machines” exhibit are $14 for children, ages four through students (college, with ID), and $18.50 for adults. Ticket admission to the park only is $9 for children, ages four through students (college, with ID), and $15 for adults. Note: If you have a DPA membership and want to use it, you may join the field trip, but you will not be able to enter with our group. We will be given early admittance and you will have to manage the purchase of your own special exhibit and special attraction tickets. Please list any special needs, including food allergies, dietary restrictions, ADA accessibility concerns and student health needs. Note: Only sack lunches purchased through DPA will be allowed to be eaten in the park or in the lunchroom. You will have in/out privileges, so you may leave the park and eat lunch in your car or at a local restaurant. Reservation deadline: Reservations will be accepted through Friday, April 14, 2017. Once the spaces fill, reservations will close. 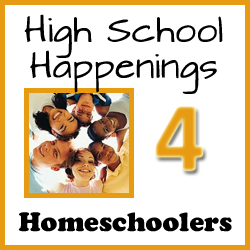 To make a reservation, click here to e-mail Homeschool Roster your request. Please include the number of children and adults that will attend as well as if they will see “Da Vinci Machines”, any special attractions and if you would like lunches. You will receive an e-mail response the following weekend confirming receipt of your reservation. No reservation funds will be issued after Friday, April 14, 2017. 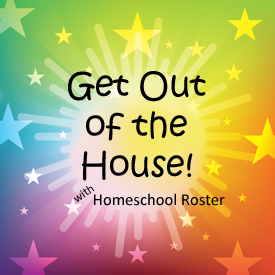 Homeschool Roster has made special arrangements for us to attend as a group. 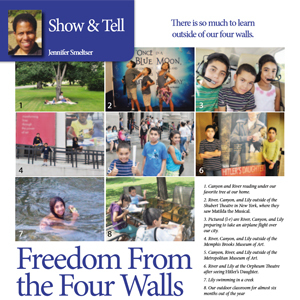 The field trip is open to those currently or considering homeschooling and their families. 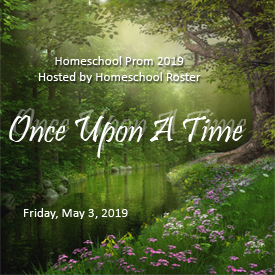 Please feel free to share the event with other homeschoolers.